Founded when Jesuits who had been expelled from Germany in 1872 and settled in Ditton. The church was constructed between 1876 and 1879, cost £16,000, and was funded Lady Mary Stapleton-Bretherton of Ditton Hall. 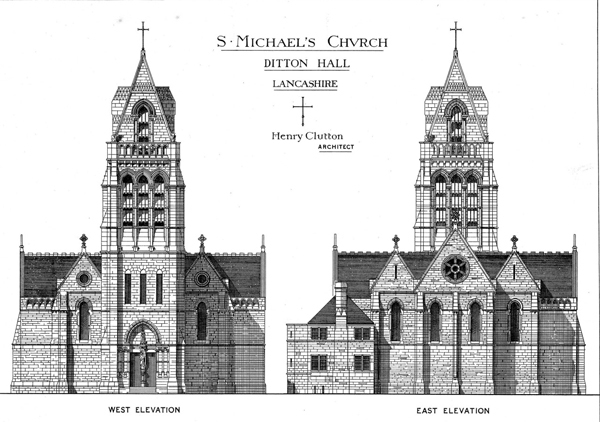 A cruciform church, with short transepts and a west tower, built in red ashlar sandstone with a slate roof. The tower is in three stages with a steep saddleback roof. The interior is barrel vaulted, boarded with hardwood, running through the nave and chancel. In 1979 the interior of the church was reordered by Bartlett and Purnell. Grade II* listed. Clutton was a pupil of Blore from 1835–40, he commenced his own practice in 1844. 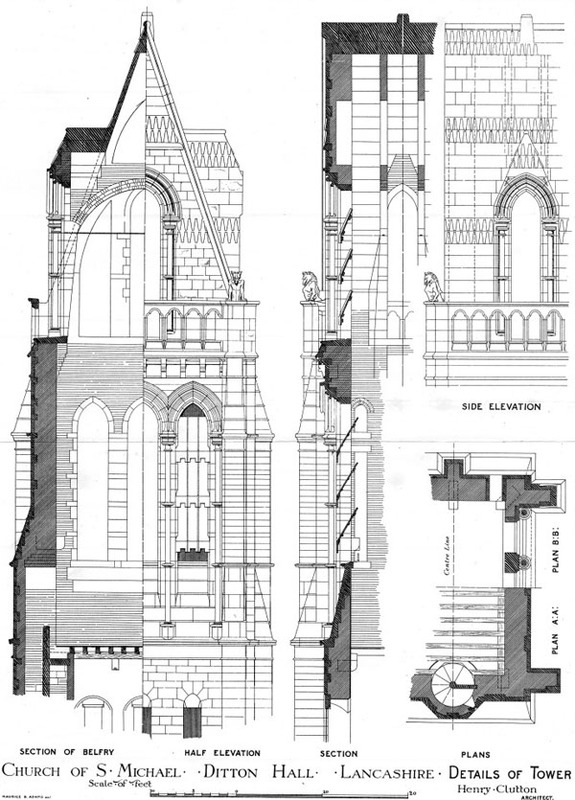 He won first place in the Lille Cathedral competition with William Burges (his partner from 1851 to 1856). His pupil and assistant was John Francis Bentley, with whom he built the delightful little RC Church of St Francis of Assisi, Notting Hill, London (1859–60). Clutton was responsible for the heavy Romanesque cloister at the Birmingham Oratory (1860). 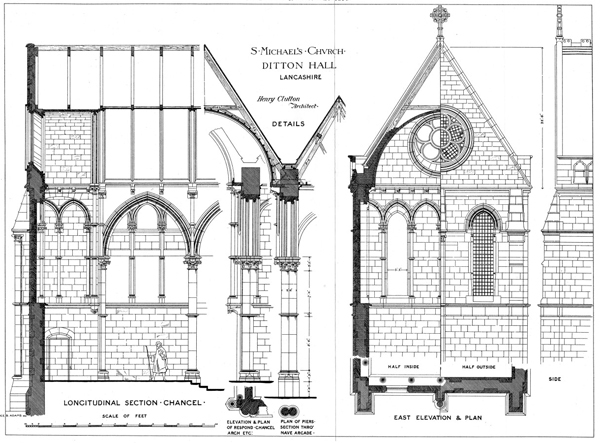 Illustrations of his church at Ditton Hall published in The Building News August 22nd/29th, and October 10th 1879.